This study course is the ultimate show of how the world has become a real village. This semester saw the first group of 23 students start their Masters course in Health Information Management. The course that is aimed at health professionals plans to teach on how to optimally introduce Information and Communication Technologies in health management. The course has students from Kenya, South Africa and Germany taking part. The courses will be in three Universities namely Hochschule Neu-Ulm (HNU) in Germany, the Kenyan Methodist University in Kenya and the University of the Western Cape in South Africa. 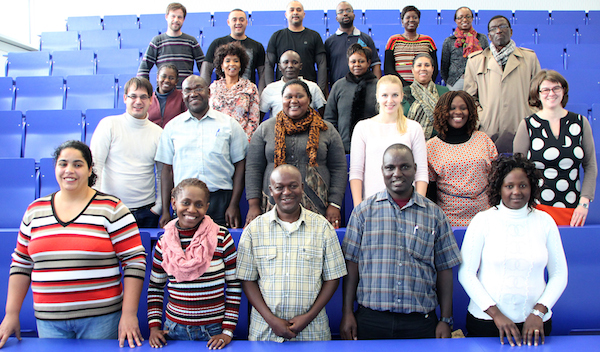 The course will be divided into three blocks, the first being in Germany, the second from March to April will be in South Africa and lastly from September to October in Kenya. The course in total takes 8semesters and the participants graduate with a Master of Science (MSc.) in Health Information Management. The program is sponsored by the German Exchange Service (Deutschen Akademischen Austauschdienst, DAAD).